Yesterday, I got to have a special dinner at the Restaurant at Meadowood for my birthday, but since we still haven’t tested our car out on any long drives since we got the distributor replaced, we were still a little leery of using it to drive up to St. Helena, so we rented a ZipCar (I just rented one for the very first time a few weeks ago!). 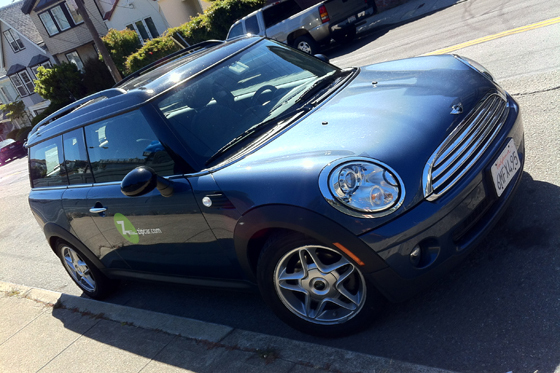 One of the great things about ZipCar is that it gives you a chance to kind of test drive specific cars which is neat if you’re maybe thinking of buying one, or just want to know how how they drive. Nick had never driven a Mini before and wanted to see how they were, so we got one of those. Today, I ran a few errands and returned it, so I got to drive it for the very first time, too! The Mini was designed as an answer to the huge, gas guzzling cars of the 50’s – it debuted in 1959 and was a cute, affordable, nimble little car that people began to love as a symbol of individuality and fun (you can learn more about the history of the Mini here). 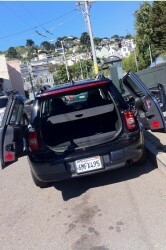 Our Mini had a few cool features like “suicide doors” and a double door at the back. The key system is pretty neat, too – it’s more like a remote that you push into the ignition slot, and there’s a push button start. This is a pretty cool little car. Especially in San Francisco, I’m sure its size is a big help when finding parking. The only thing I noticed is that at least with our model, the shock absorption was pretty much nonexistent – Nick likened it to driving a go-cart. 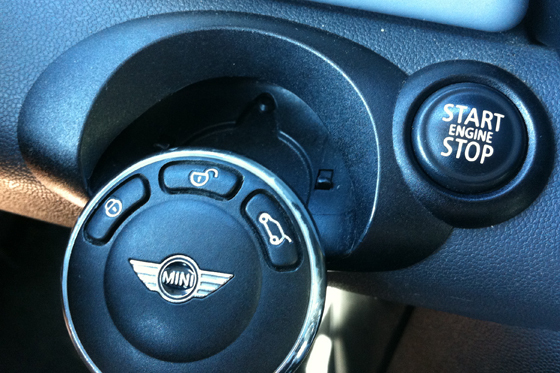 But the Mini wasn’t really created to be a luxury vehicle – just a fun, zippy little extension of the driver. While I’d probably pick something else for myself if I were buying a new car, I like Minis, I think they’re adorable, and I had fun on my little jaunt with ours.